Jes Lee » Blog Archive » Art festival weekend! It is another art festival weekend here! 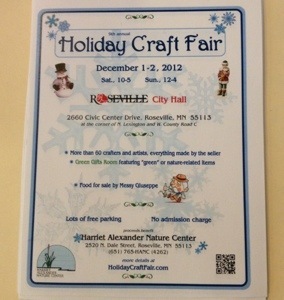 Jes Lee Studios and Dad and Kiddo Pottery will be at the Roseville Holiday Festival for the first time this weekend! I hope you have a chance to make it out. I have heard it is a great show and a wonderful place to get some of your holiday shopping done. We’ll be in the ‘green room’ at the Roseville City Hall Saturday 10-5 and Sunday 12-4.